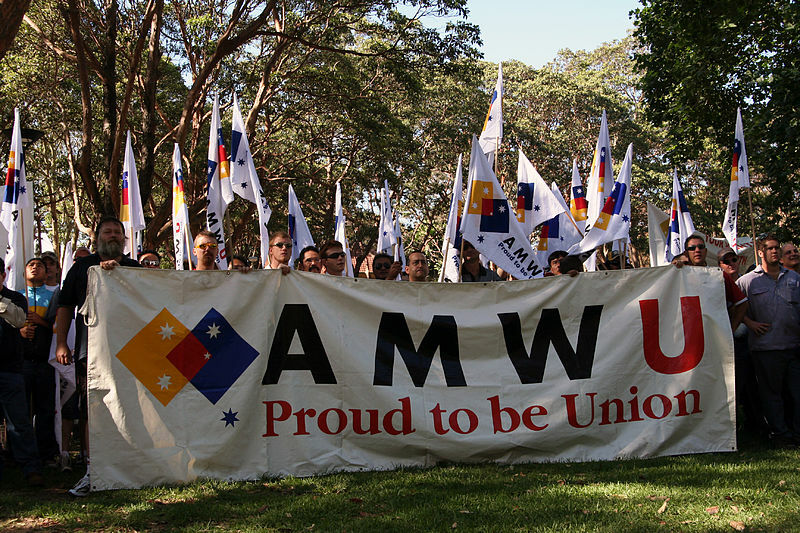 The AMWU hopes to get both Federal and State Governments to prevent a jobs crisis in Victoria through its 3-point plan. The Australian Manufacturing Workers’ Union (AMWU) has decided to launch a campaign which will protect the 270,000 jobs in Victorian manufacturing. The plan, which was launched at the Victorian Delegates Conference by State Secretary Steve Dargavel, aims to establish a path to get both Federal and State Governments to prevent a jobs crisis in Victoria. According to Mr. Dargavel, the state government’s ‘management’ of the economy has seen Australia lose jobs overseas, while defence manufacturing contracts go to South Australia. “While the government is making excuses, Victorian workers are making everything from semi-trailers to confectionary, from tin cans to the Toyota Camry,” he added. Mr. Dargavel also criticised the lack of effort and interest from the state government in protecting manufacturing jobs in Victoria. “The solutions for the Victorian Government are relatively simple. They need to bring in strong provisions to ensure that local content is procured in state government projects. Currently, too many things that could be sourced here are sourced overseas. “We also need to co-invest in high tech manufacturing. “We need to stay on top of technological change, we need to specialise in what we did best, and we need to find ways of buffering Victoria from the changes in the international market – that will happen. “Every first world country has a plan to protect its manufacturing industry for the jobs, economic stability and the products it provides to the economy,” said Mr. Dargavel. – Fine tune the trade agreements to ensure that investing in manufacturing is competitive. “Victoria needs to plan to keep its manufacturing industry making things here.” Mr. Dargavel added.